Brian May returns with the London Stereoscopic Company to present the fifth in a series of diverse stereoscopic ventures which have previously encompassed Victorian art and fashion, a riveting exploration of a quaint nineteenth century Oxfordshire Village, and the euphoria of Queen’s rapturous touring years. He now turns his attention to the Apollo program in anticipation of the fiftieth anniversary of the first moon landing, in July this year. 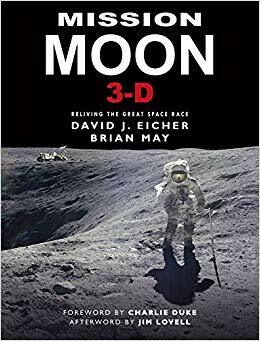 In his new book Mission Moon 3-D, co-authored with David Eicher (editor of Astronomy Magazine), Brian May publishes a series of never-before-seen stereoscopic photographs to complement David Eicher’s compelling story about the race to the Moon, and celebrate the pioneering Cosmonauts and Astronauts, and the scientists and engineers who helped propel us there. 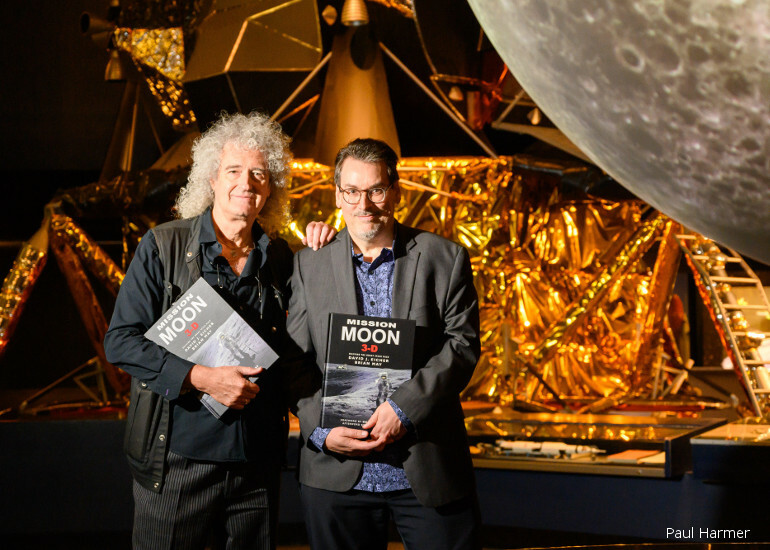 Unique and immersive, this collection takes the reader on a journey of cosmic proportions, leaving them to dwell in the eerie silence of the Moon to reflect upon one of mankind’s greatest achievements. Join us on 11th February at Christ Church: doors open at 19:30 for 20:00 start.